Love movies? Who doesn’t! Share that love with family and friends with a Cineplex Gift Card. 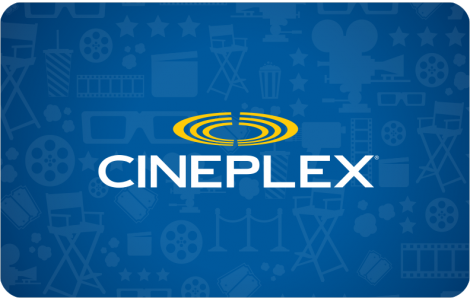 Cineplex operates over 160 theatres from coast to coast, serving over 70 million guests annually through the following theatre brands: Cineplex Cinemas, Cineplex Odeon, Cineplex VIP Cinemas, Galaxy Cinemas, SilverCity Cinemas and Scotiabank Theatres. Cineplex also owns and operates the UltraAVX, Poptopia and Outtakes brands. Cineplex Gift Cards are suitable for any occasion and useable both online and in theatres! Cineplex Entertainment LP (“Cineplex”) Gift Cards (“Cards”) may be used towards purchases at any Cineplex theatre, Cineplex.com, CineplexStore.com and The Rec Room®. 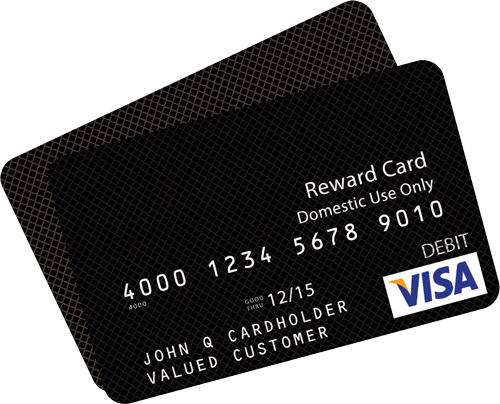 Cards cannot be redeemed or exchanged for cash or other Cards unless required by law. Cards are reloadable. Lost/stolen Cards will not be replaced. Damaged Card may be replaced by Cineplex in its sole discretion. SCENE® points are not issued on the sale of Cards. Receipt and/or use of this Card constitutes acceptance of these terms and conditions. Issued by Cineplex Entertainment LP. Treat this as cash. Balances available at Cineplex.com or 1-800-544-7573. ™/® Cineplex Entertainment LP or used under license.